Cooking, cleaning, and entertaining can be more fun fin a newly remodeled kitchen that perfectly meets the desired taste, lifestyle, and needs. When you work with ProSource® of Boise, a professional kitchen designer will help you create your dream kitchen at a dream price. 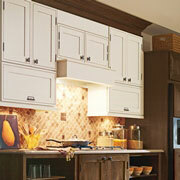 Even better, we’ll make sure the kitchen remodel is done successfully without missing out on quality. We don’t think there’s anything that transforms a kitchen quite like cabinets do, so we have design professionals who will make sure you have the right wood type, color, brand, door shape, or more for your space. 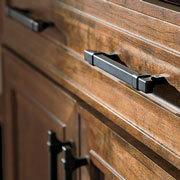 As perfect as the kitchen cabinets of choice are, they wouldn’t be complete without cabinet hardware. We have traditional to modern and everything in between when it comes to handles and knobs, so meet with us today. 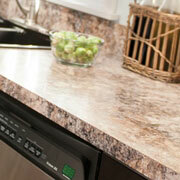 Are you pining over a quartz countertop or aching for that granite one? With our variety of colors, materials, finishes, and brands — available for different budgets — we can find something that will perfectly enhance your kitchen remodel. Whether it’s an apron-front (farmhouse) sink that is all the rage right now or a more traditional style, we can find something that looks great for your kitchen design and budget. 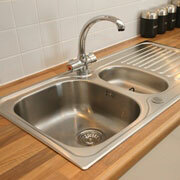 Make dishwashing easier with a sink designed for utility. 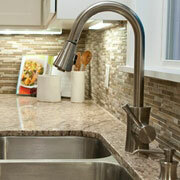 Make that sink even more useful with a well-designed faucet to meet your needs. We have standard faucets, beverage faucets, pot-filler faucets, and more, which means you can personalize the kitchen right down to the faucets. We proudly serve Boise, Meridian, Nampa, Eagle, Star, and Middleton, ID. The ProSource of Boise showroom is conveniently located in Meridian, Idaho and serves all of the neighboring cities including Adrian, Atlanta, Banks, Boise, Caldwell, Cascade, Eagle, Emmett, Fruitland, Garden City, Garden Valley, Glenns Ferry, Greenleaf, Hammett, Homedale, Horseshoe Bend, Huston, Idaho City, King Hill, Kuna, Letha, Lowman, Marsing, Melba, Meridian, Middleton, Midvale, Mountain Home, Mountain Home AFB, Murphy, Nampa, New Plymouth, Notus, Nyssa, Ola, Ontario, Parma, Payette, Placerville, Star, Sweet, Weiser, Wilder, and Vale.